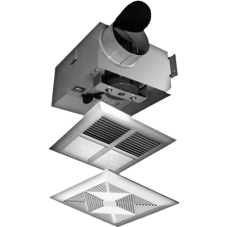 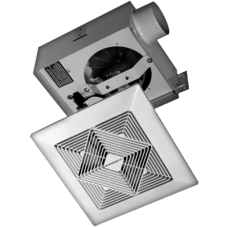 EXHAUST FAN FOR TWO BATHROOMS The BB-100 fan is specially designed to exhaust two bathrooms, using the REVERSOMATIC balancing box for the 2nd washroom. 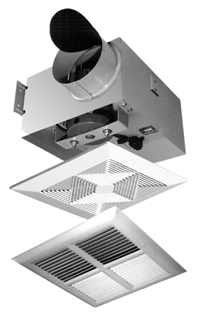 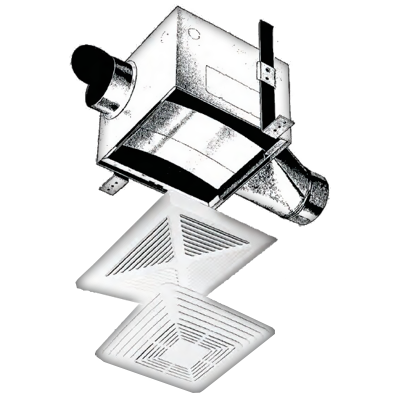 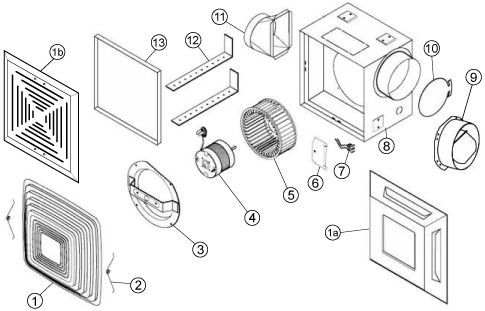 The fan is equipped with transition and baffle for air balancing. 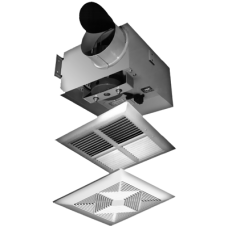 It is also constructed of corrosion resistant heavy gauge satin coat steel.